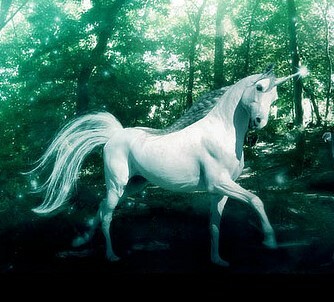 Once upon a time there was a beautiful unicorn. It was a stunning creature with long legs, a graceful body, and eyes as deep and dark as vernal pools. The unicorn lived in a secret forest of emerald trees, bejeweled flowers and magical creatures, well away from the dangers of humans. There it drank from rainbow ponds and bred with others of its species, filling the magical woods with herds of dancing silver unicorns. 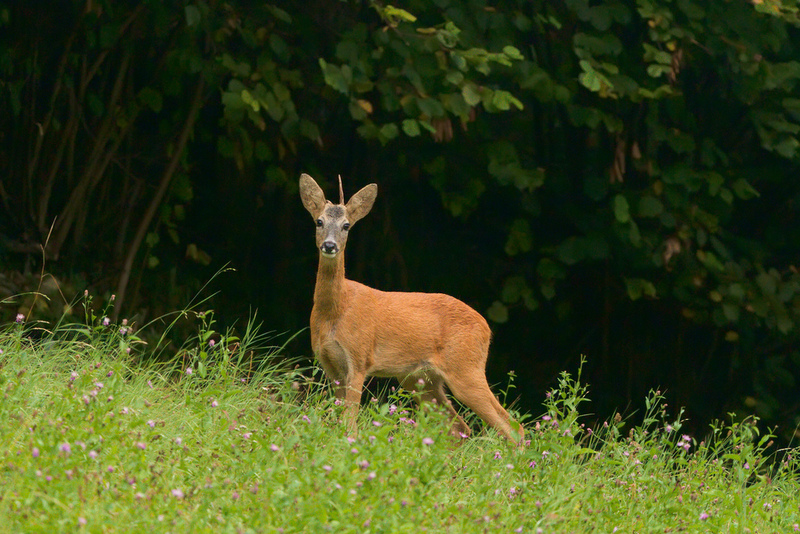 Fact check: Roe deer live across Europe, from the Mediterranean to Scandinavia, and from the British Isles to the Caucasus. 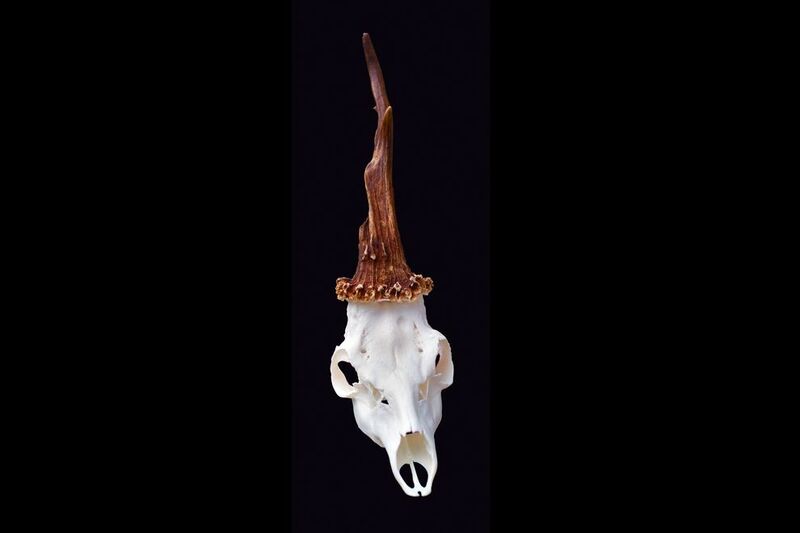 The unicorn roe deer in our story lived in Slovenia. 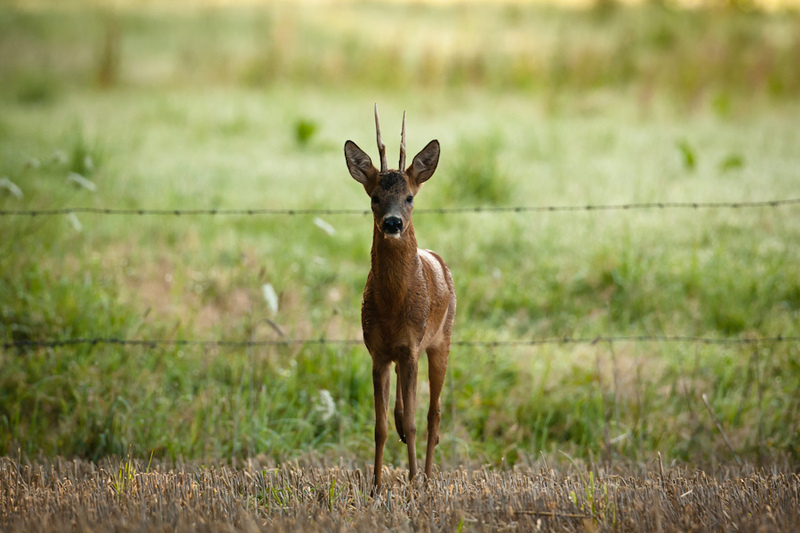 Because deformed antlers are a result of injury to the antler while it is forming, roe deer do not pass their unusual antlers on to the next generation. One day a hunter entered the forest. He had been searching for unicorns because they make good food, leather, and trophies. 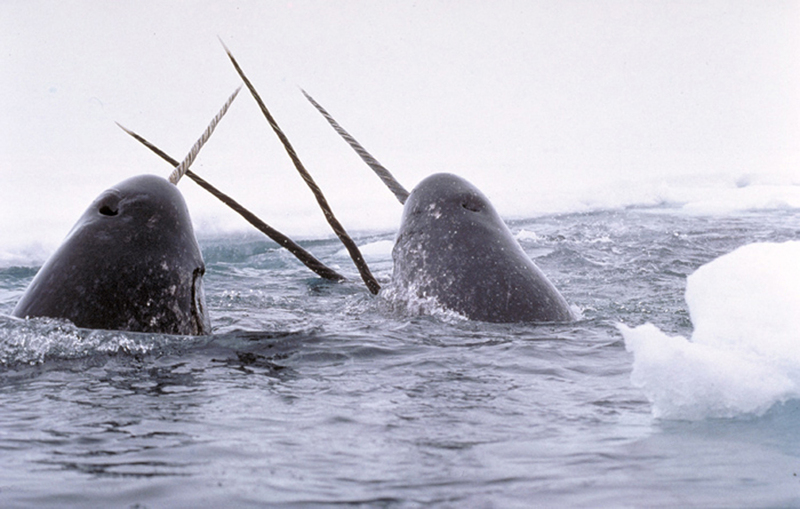 Plus, of course, their horns are magic. Suddenly, there it was! The hunter crouched low, recognizing the animal by its single horn. Stealthily, he raised his rifle hoping the unicorn would not detect him using its magic unicorn senses. When he knew it wasn’t looking, he squeezed the trigger and shot the creature, dead. Fact check: We cannot know the mind of the hunter or the details of the hunt, except that he did select the large single-antlered deer deliberately, probably judging it to be a spike. Roe deer are an abundant game species in Slovenia. Hunting is carefully managed by the government and there is no evidence that the hunter acted illegally or that he thought the horn had special powers. So that was the end of unicorn in the the magical woods. 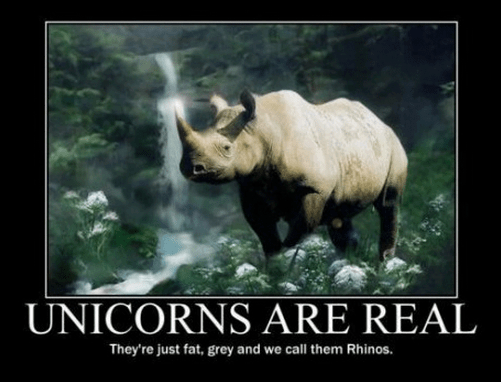 Elsewhere unicorns have tried to evolve into different forms using different techniques and magic to fool humans. To our knowledge, they have not been very successful in evading and surviving us, but then again, maybe we just haven’t looked in the right places. 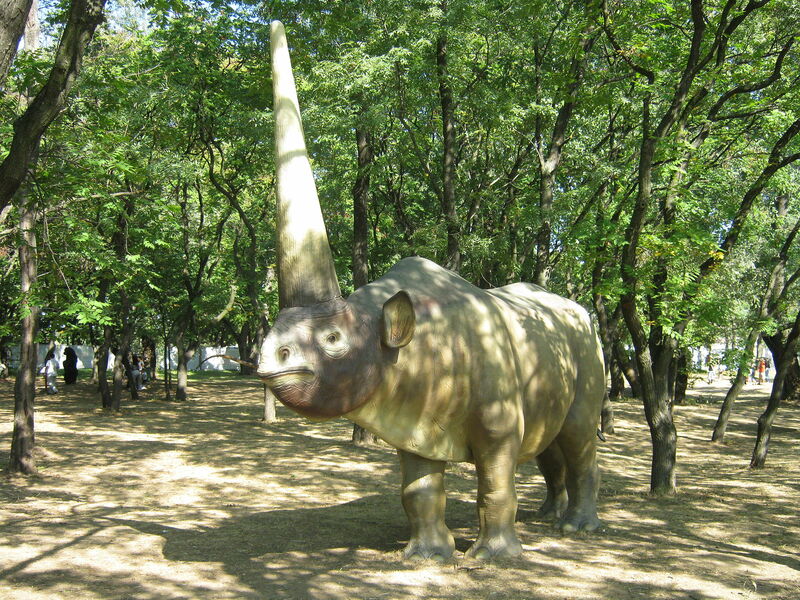 The rhino horn is highly prized in traditional Asian medicine for its alleged magical healing properties. Due to poaching, there are only six northern white rhinos left in the world, with only four still able to reproduce. 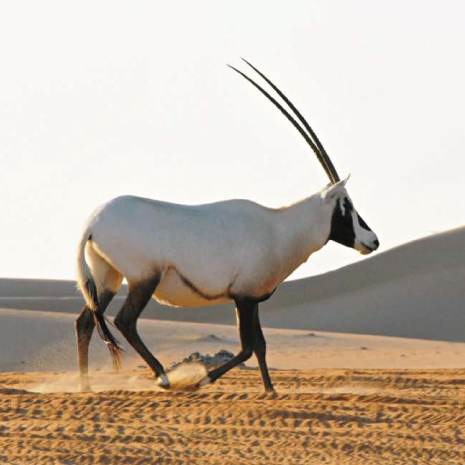 So for now, the Arabian oryx is one unicorn that gets to live happily ever after.